When Dawn of the Planet of the Apes hit theaters in 2014, it came with a little mystery at the end of its credits; not a grand scene teasing the next film but a simple audio cue. It’s not too obvious, but if you were listening you may have heard a shift of rubble and some heavy breathing, as if the character Koba had perhaps survived his extensive fall in the film and would return for a sequel. 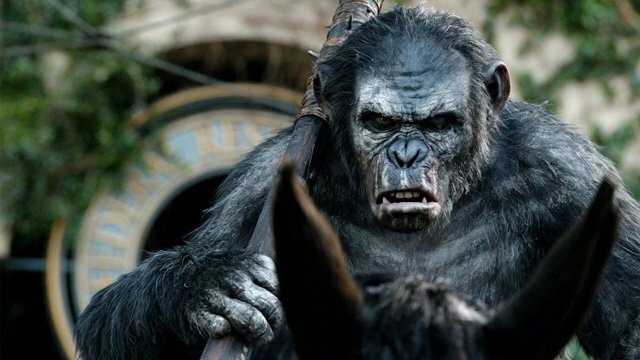 When we visited the set of that upcoming sequel, War for the Planet of the Apes, earlier this year, I asked producer Dlyan Clark about that audio cue and if it actually meant anything for the film. The upcoming War for the Planet of the Apes will feature a very human antagonist in the form of “The Colonial” played by Woody Harrelson, though he may have some ape help on his side. To find out more, read our full set report on the film by clicking here.